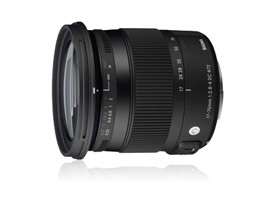 With a classy looking outer finish, new optical construction of 16-elements in 14 groups including image stabilization and an ultrasonic type motor, and a $100 premium the Sigma 17-70mm f/2.8-4 DC Macro OS HSM C replaces the previous $399 17-70mm f/2.8-4 DC Macro HSM model. This review is based on the Nikon mount version, the evaluation of the Canon fit model can be found here. 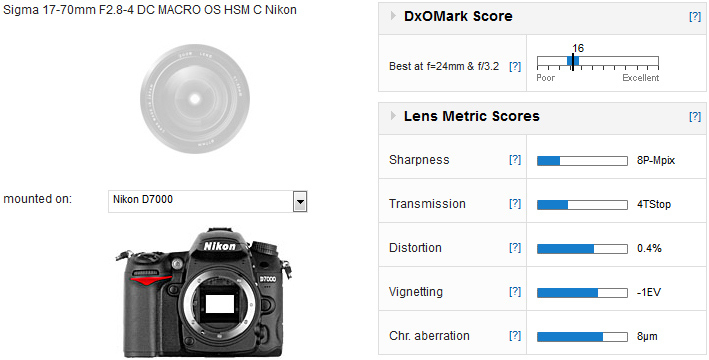 With a DxOmark score of 16 points on the 16 Mpix Nikon D7000, the new Sigma performs well for this type of lens. Sharpness is improved over the previous iteration by 1P-Mpix. In fact, 7P-Mpix is the average sharpness score for a lens like this, and was the score achieved by the previous iteration. However, the improvements in sharpness are mainly in the centre of the frame and at the expense of the outer field. Scores for Transmission, Vignetting, Distortion and Chromatic Aberration are all respectable for a lens like this. 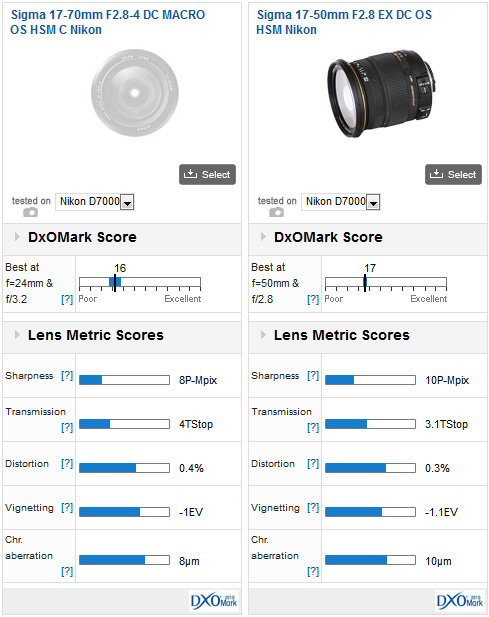 When evaluated against its pricier sibling, the similar DxOMark scores suggest a similar image quality however at $670 Sigma 17-50mm f/2.8 EX DC OS HSM Nikon measured a very respectable 10P-Mpix vs 8P-MPix for the 17-70mm. What’s more the 17-50mm f/2.8 also has more consistent performance over the focal range, it’s only when the other metrics are taken into account that the overall score of the 17-70mm starts to approach the 17-50mm f/2.8. Although the price now is $100 over its predecessor, this update sees some improvement in sharpness levels making it above average for a ‘mid-range’ lens. Given the specification and optical performance, the Sigma 17-50mm f/2.8 EX DC OS HSM is an attractive alternative to rival offerings.